Mexico 0, Honduras 0: El Tri finishes off its unbeaten fourth round of World Cup qualifying with a dull draw. 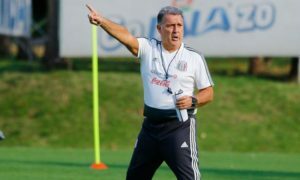 Recognizing that the result against Honduras did not matter so much for Mexico, Juan Carlos Osorio made three changes to the starting lineup and his side opened up in more of a defensive posture at home. And almost from the start, Los Catrachos had their best chance of the first half when a free kick delivery by Mario Martinez swerved past the diving Alfredo Talavera, but the delivery swerved beyond the far goal post. 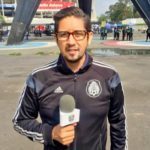 After Honduras had a chance nine minutes into the game, they started ceding more of the possession to Mexico and resorted to giving Mexico few gaps to break down in the interior of the park. The strategy for the first half worked to perfection to prevent Mexico from executing their game plan. 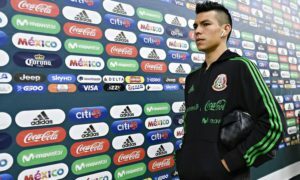 Once the second half started, which began with Hirving ‘Chucky’ Lozano coming on for an isolated Angel Sepulveda, Mexico started to find chances on goal. A good chance came in the 54th minute when a diagonal ball over the top from Angel Zaldivar found ‘Chucky’ with space to shoot. However, Lozano takes one too many touches and his side-footed sharp-angle shot goes wide of the target. Mexico continued to control the game, and tried to find ways through Honduras’ lines again. But as the game wore on, El Tri were finding it harder and harder. The best chance came in the dying minutes of the match when Hector Moreno had a free header off of a corner kick. But Moreno’s header missed the mark. With the point, Honduras ensured its passage to the final round of FIFA World Cup qualifying in second place with 8 points for the third cycle in a row. Mexico also finish off their fourth round unbeaten (5-1-0, 16 pts). 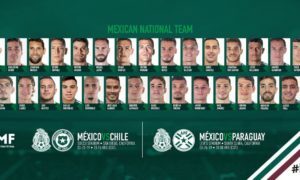 El Tri will reconvene to play friendlies against New Zealand on October 8 in Nashville, Tennessee before traveling to Chicago to take on Panama on October 11 in two friendlies. They start their final round of World Cup qualifying on November 11 away to the United States before traveling to Panama to take on the Canaleros on November 15. The Catrachos resume play with their entrance in the Hexagonal, hosting Panama on November 11 and Trinidad and Tobago on November 15.